Nina Romanova graduated from the St. Petersburg State Rimsky-Korsakov Conservatoire and was invited as a principal to the Moldavien National Opera in Kishinev, where she had outstanding success as Adalgisa NORMA. She has sung all the principal Russian mezzo-soprano roles at the St. Petersburg State Mussorgsky Opera House (Maly). As a concert and oratorio singer, she appears regularly on the Russian concert-platforms, including the St. Petersburg Philharmonic Hall, the Glinka Concert Hall, the St. Petersburg Capella Hall and the Tchaikovsky Concert Hall. She has sung the mezzo-soprano parts in oratorios such as Handel Messiah, Mozart Requiem, Verdi Messa da Requiem all of the Bach Passions as well as the B Minor Mass. Tours with the Moussorgsky Opera Company have brought renown in the USA, Japan, Italy, France, Germany, Holland, Portugal and Great Britain. In Paris, she has sung many highly acclaimed opera performances in concert under Vladimir Fedoseyev. These include BORIS GODUNOV, QUEEN OF SPADES and Prokofiev ALEXANDER NEVSKY, a production which has also been shown at the Arena di Verona. Following her many tours with Russian productions, she has become a favourite guest in Nantes, where her engagements have included Amneris AIDA, Azucena IL TROVATORE, Katlina TILL EULENSPIEGEL and Marina BORIS GODOUNOV. She has also appeared as Amneris AIDA in Rennes and Angers. Most recently she sang Larina EUGENE ONEGIN at the Théâtre de la Monnaie Brussels, conducted by Lothar Zagrosek and Martha IOLANTA for the Klangbogen Festival in Vienna, conducted by Vladimir Fedoseyev. She made her debut as Countess PIQUE DAME at Teatro Comunale di Bologna, conducted by Vladimir Jurowski, and returned once again to Nantes to sing Principessa de BouillonADRIANA LECOUVREUR and La Zia Principessa SUOR ANGELICA. She returned to Teatro Comunale di Bologna for Martha IOLANTA, a role she has also sung for the Netherlands Opera in Amsterdam. 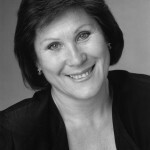 Ms. Romanova has also sung Eboli DON CARLOin Massy and Dijon. She has recently sung PIQUE DAME in Brussels and EUGENE ONEGIN with the Valencia Orchestra in Spain and Nurse BORIS GODUNOV in Amsterdam. Lately she participated in the production of EUGENE ONEGIN by Bolshoi Theatre (Moscow) in Moscow, London, Madrid and Beijing.